The end of a marriage can, at times, seem to be the most difficult point in a person’s life. However, your stress and concern does not need to be amplified because of unfamiliarity with Missouri’s legal process. Our site is designed to help educate people investigating the possibility of divorce in Missouri with the basics. Missouri is a “modified no-fault” state, which means that the only underlying reason required for seeking a divorce is that you and your spouse have irreconcilable differences. However, as is frequently the case, the conduct of your spouse during the marriage, whether physical or financial, may also play a role in your decision. While Missouri courts do not require a showing of misconduct (such as physical abuse, financial irresponsibility or an affair) in order to grant a divorce, Missouri law does require courts to evaluate the conduct of the parties during the marriage when determining an equitable distribution of the parties assets, and it may also play a role in child custody determinations. The issues that emerge during a divorce are often complicated and varied — no two situations are ever exactly alike. If you have questions and would like to speak with one of our experienced Missouri divorce attorneys regarding your options in filing for divorce, please don’t hesitate to CONTACT US or call at (314) 326-4885. The law firm of Hais, Hais & Goldberger, P.C. are dedicated exclusively to the practice of family law, and our experienced representation has helped countless numbers of clients save time and avoid costly mistakes. In many divorces, issues concerning child custody and visitation are oftentimes the most contentious and hard fought. Just because you are considering a divorce from your spouse doesn’t mean you are seeking one from your children. If you believe that custody will be a contentious issue between you and your spouse, having an experienced family law attorney represent you during the divorce process will be critical, both for you and your children. In divorce cases involving child custody, a court, either through agreement of the parties or after litigation, must institute a custodial arrangement for the children of the marriage. While there are many different ways to structure custodial arrangements, there are a few legally recognized categories in Missouri that encompass these arrangements. There are two, principle types of custody that present themselves in Missouri divorce cases: legal custody and physical custody. Legal custody and physical custody are then awarded on a “sole” or “joint” basis to one or both of the parties. Legal Custody refers to decision making authority on behalf of the children. Examples of legal custody might include the decision about where a child attends school, what extracurricular classes or events they might participate in, or what medical care the children receive. Legal custody refers to decisions involving the health, education and welfare of the children. Legal custody is then granted to one or both parents. Missouri courts in recent years have demonstrated a strong preference in favor of awarding legal custody on a “joint” basis, between both parents. Physical custody refers to who has physical time with the children and how often. Actual physical custody schedules vary greatly, depending on the needs of the children and their particular circumstances. However, Missouri courts have shown a strong preference in awarding physical custody on a “joint” basis, between both parents, meaning that both parents have the right to significant amounts of physical custody time with both children. This decision by courts is attributable largely to the Missouri General Assembly’s decision that “frequent, continuing and meaningful contact with both parents after the parents have separated or dissolved their marriage is in the best interest of the child” except under certain, well defined circumstances. Joint custody as referenced previously tends to be the preferred type of custody awarded by Missouri courts, and most courts will not disturb this type of custody arrangement unless one of the parties can show some type of physical, emotional or psychological danger to the children. Sole custody as previously referenced is the custodial arrangement where one parent is granted ultimate decision making authority with respect to the children (sole legal custody) or is awarded the vast majority of the custody time with the children (sole physical custody). Missouri courts will only order this type of custody where it can be shown that it is in the best interests of the children, which typically requires a showing of physical emotional or psychological danger to the children. As a St. Louis law firm dedicated solely to the practice of family law, Hais, Hais & Goldberger, P.C. has extensive experience in representing both mothers and fathers in child custody cases. The consequences of child custody determinations and their attendant parenting plans have far reaching effects and long term consequences for both you and your children. If you have questions and would like to speak with one of our experienced attorneys regarding a child custody issue, please don’t hesitate to CONTACT US or call at (314) 326-4885. The cost of raising a child in modern society requires more than simply a great investment of your time. It has been estimated that a single-parent family will spend over $250,000 in before tax income in rearing one child from birth to age 17. When parents separate or divorce, the first issue that comes to mind for most parents is who will care for their children and how will they be adequately supported. In Missouri, the General Assembly has delegated to the Missouri Supreme Court the task of establishing guidelines by which any award of child support is to be made. These Missouri guidelines for the purpose of calculating child support are found and referred to as the Form 14. The Form 14 analysis begins with the gross income of each parent. For purposes of the Form 14, “gross income” includes, but is not limited to, “salaries, wages, commissions, dividends, severance pay, pensions, interest, trust income, annuities, partnership distributions, social security benefits, retirement benefits, workers’ compensation benefits, unemployment compensation benefits, disability insurance benefits, veterans’ disability benefits and military allowances” as well as “overtime compensation, bonuses, earnings from secondary employment, recurring capital gains, prizes, retained earnings” and “significant employment related benefits” may be included under certain circumstances. Based on the adjusted gross monthly income of the parties, the court will then determine the appropriate share of the combined adjusted gross monthly income and allocate it accordingly to each party. After determining the gross income of the parties and their share of their income, the court will then evaluate and include the children’s needs and expenses, such as out of pocket medical care, health insurance, costs for daycare, and other extraordinary child rearing costs. Finally, the court will look to the Form 14’s “schedule of basic child support obligations”, otherwise known as the “child support chart”, and using the combined gross income of the parties and the number of children receiving support, the court will choose the corresponding amount of child support, and apportion it between the parents based on their relative earnings. While most Missouri courts rely on the Form 14 and accompanying child support chart in making child support awards, a court may deviate from this number either up or down if the amount that is recommended by the Form 14 is otherwise “unjust and inappropriate” under the circumstances. Missouri child support laws are complex and nuanced. 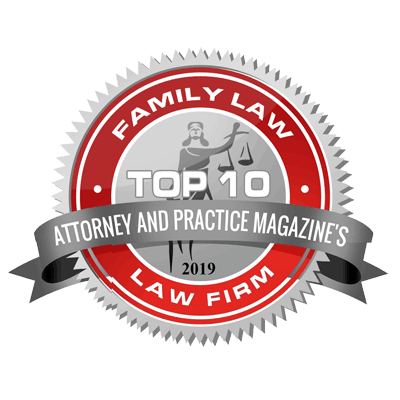 The Form 14 uses certain assumptions that only an experienced family law attorney may be familiar with that may impact your case. Additionally, child support issues that should be considered (but may not be going through your mind at the time of divorce) can include such things as college costs and expenses for your children, extraordinary medical costs, in addition to a host of other expenses that an experienced family law attorney would be able to help you identify. As a law firm dedicated solely to the practice of family law, Hais, Hais & Goldberger, P.C. has extensive experience in helping parents ensure that their children are well provided for after separation or divorce. The consequences of child support determinations can greatly impact your own bottom line, in addition to your ability to care for and provide for your children. If you have questions and would like to speak with one of our experienced St. Louis divorce attorneys regarding a child support issue, please don’t hesitate to CONTACT US or call at (314) 326-4885. Maintenance, otherwise referred to as “alimony” or “spousal support”, is money that is paid by one former spouse to the other, after the marriage has been dissolved. When determining whether to award maintenance, courts will consider several factors, including the respective amounts of property awarded to the parties during the divorce, whether both parties are able to support themselves through appropriate employment, the financial resources of each party, the time necessary for the spouse seeking maintenance to acquire the skills or capacity to support themselves independently, the comparative earning capacity of the parties and the standard of living established during the marriage. Other factors, such as the length of the marriage and the respective ages of the parties may also factor in to this decision, as well as any misconduct on the part of one or both of the parties during the marriage. There are no mandatory guidelines or charts (as with child support) to determine what amount of maintenance is appropriate. Maintenance can be ordered on a modifiable or non-modifiable basis. If your maintenance order is modifiable, this means that either party can come back to court to challenge the amount and duration of the maintenance award. A non-modifiable award of maintenance restricts this ability, and means that the parties cannot at a later date come back to court in order to modify either the amount of maintenance being paid, or when such payments will cease. There are certain circumstances under which maintenance may automatically terminate under Missouri statute, including the death or remarriage of the party entitled to support. Maintenance awards can have far reaching implications for you and your family and can even impact the tax liabilities of both the party receiving maintenance and the party paying maintenance. The divorce attorneys at Hais, Hais & Goldberger, P.C. in St. Louis have extensive experience in helping parties with respect to maintenance issues. If you have questions and would like to speak with one of our experienced attorneys, please don’t hesitate to CONTACT US or call at (314) 326-4885. 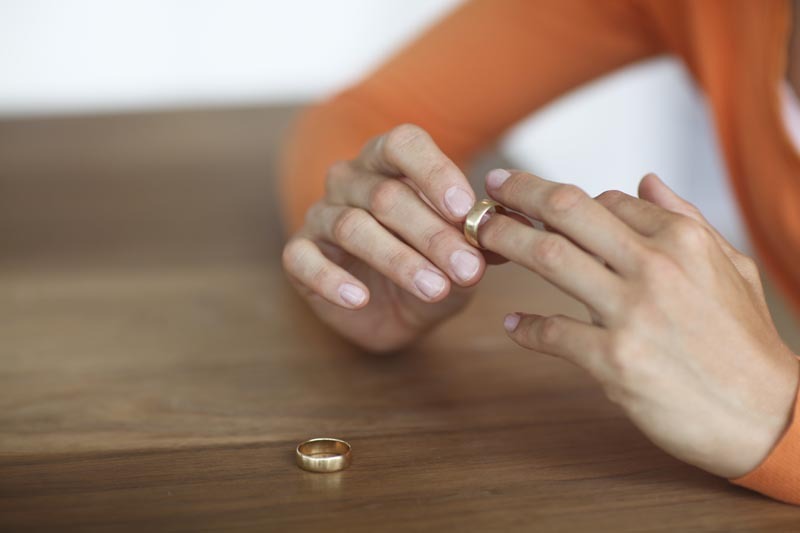 In addition to providing services to individuals seeking a divorce, we also help individuals who for financial, moral or health concerns would choose instead to file for legal separation. Legal Separation is similar to divorce in nearly every respect, except that insurance and tax benefits may continue even after the legal separation. A legally separated couple is also entitled to a child custody determination, division of marital property and assets, and an award of child support. However, a legally separated couple may not remarry. If you have questions and would like to speak with one of our experienced attorneys regarding a legal separation, please don’t hesitate to CONTACT US or call at (314) 326-4885.